Now three records and a new EP in, it’s fair to say that Detroit post-punkers Protomartyr have made a name for themselves as experts in writing brooding, meticulous music which focuses on life’s unwelcome elements. Expressed most impressively on their second full-length, Under Color Of Official Right, and most recently on last year’s Relatives In Descent, their poetic post-punk tells tales of deceit and corruption against a cacophony of guitar and drums. Vocalist Joe Casey’s baritone delivery and vivid imagery draws parallels with the likes of Ian Curtis from Joy Division and The Fall’s Mark E. Smith; like those forbears, he's a lyricist who spends his time discussing the grotesque and the wrong. On the quartet’s new release, Consolation EP, they have enlisted the aid of The Breeders’ Kelley Deal not only in recording, but also lending vocals on two of the four tracks here. Deal’s most telling contribution is her joining with Casey on the excellent "Wheel Of Fortune’’, barking in unison "I decide who lives and who dies’’ as they outline the unequal opportunities available to society. 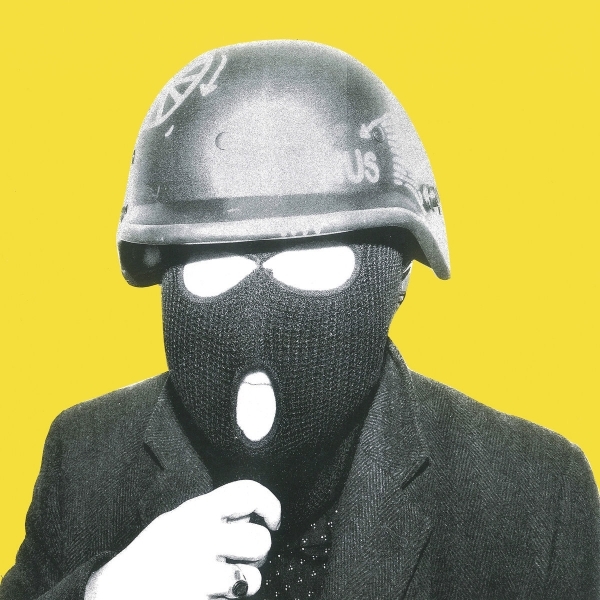 This calling out of wrongs and candid presentation of the world remains the bedrock of Consolation EP, just as it has everything Protomartyr have done. The band have eased off of the intensity somewhat however, and it isn’t just because of the shorter length of time. "Same Face In A Different Mirror’’ could be interpreted as either having to put up with more of the same or something more positive, that what Casey is discussing is the potential to self-analyse and change. There is a negativity, but also the sense that things will be okay. "You Always Win’’ also can hardly be described as having the potential to raise a smile, but nonetheless it is partially accepting of a given situation. In Protomartyr’s terms, these can almost be seen as small victories. It may lack tsome of the hooks and the directness of Protomartyr’s full-lengths, but Consolation EP is a record that highlights a slightly different side to the group. Their core remains unchanged, but having indulged in an additional vocalist and even something close to resembling hope, it’s welcome effort from a band in their prime.